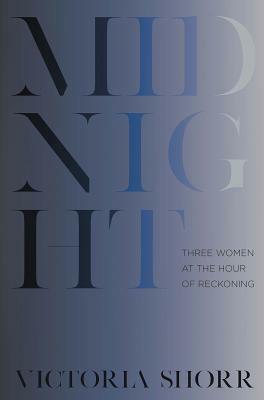 Midnight is a study in the courage of three women--Jane Austen, Mary Shelley, and Joan of Arc. Jane Austen was poor in 1802, unmarried and homeless. She had outlines, ideas, and first drafts of her future novels but no place to sit and write them. It is at this bleak moment that she receives an offer of marriage from a rich man. Midnight takes us to the hour of her decision between financial security and her writing life. When sixteen-year-old Mary Godwin elopes to France with the poet Percy Bysshe Shelley, she scoffs at the cost--life as an outcast. Together they travel through Europe, reading and writing, but Midnight finds her alone, eight years later, pacing a terrace overlooking the Italian shore, watching for Shelley to sail home over stormy seas in a shaky boat. Joan of Arc, imprisoned in chains, kept her faith for a long year. Be brave, daughter of God, her saints had whispered, you will be saved--and she believes it, until she is taken to be burned at the stake. Midnight is the story of Joan's final days, between her terrified recantation and her heroic return to the stake.